Add striking colour to your hair without the commitment. 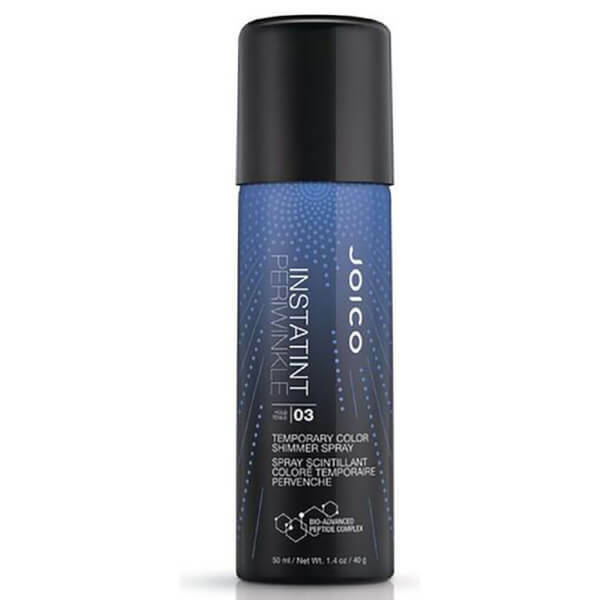 Joico's Instatint Periwinkle Temporary Color Shimmer Spray is a non-permanent hair tint that allows you to experiment with a mix of colours and effects. Suitable for all hair colours, textures and lengths, the purple-blue spray can be applied subtly or liberally depending on desired intensity, and can be mixed with other colours to create a show-stopping look. Infused with temporary pigments, the spray delivers no-commitment colour that saves your hair from the processing damage often associated with bleaching and permanent hair dyes.